Thank you for your interest in volunteering. We could not function without our dedicated group of volunteers. Many wonderful people who give their time and talents to help with our programs bless our organization. Volunteers work with staff to build a team that helps care for our horses, manage the facility, and assist with lessons and a variety of additional supportive task. No previous experience required. All volunteers need to be at least 16 years old. 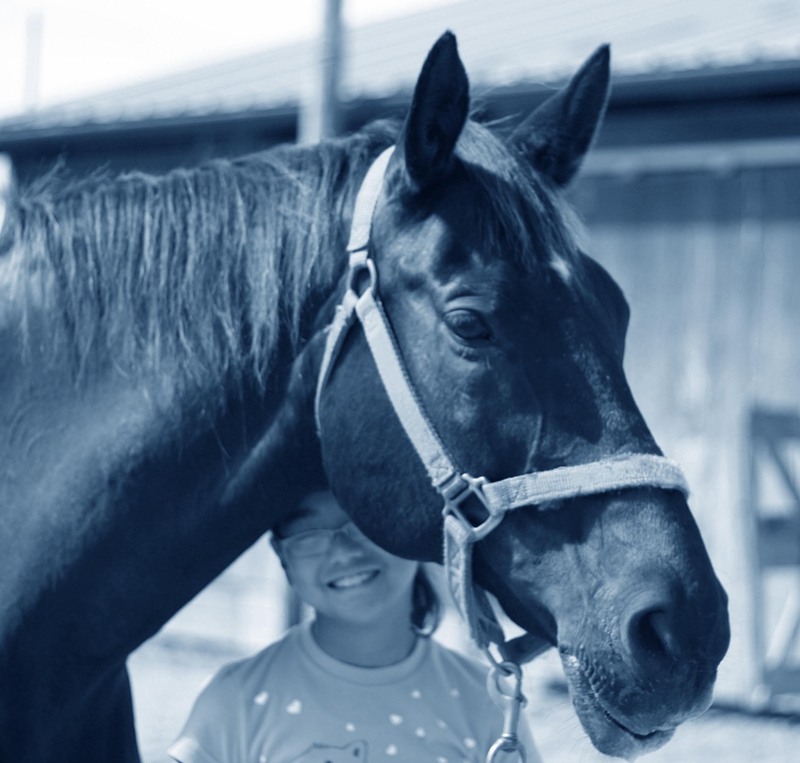 Occasionally we accept students under 16 if they are currently enrolled in our lesson program, have passed level one riding and ground skills, and are supervised by parent or guardian. Orientation and training days for volunteers are scheduled through out the year. We hope that the volunteer experience will bring satisfaction, personal growth and fulfillment to you, as well as our clients. "This is such an amazing program and I'm so happy and thankful to be a part of it because I've met some amazing and inspiring people through it. Seeing the happiness and strength people experience and develop with these horses is so gratifying and beautiful. There's absolutely nothing else I would rather do on my Saturday mornings."